Currently, 1 out of 4 Americans over age 65 count on Social Security (SS) for 90% or more of their income. 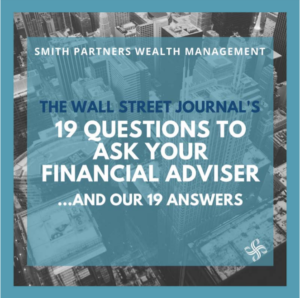 And since an individual’s lifetime Social Security benefit can often total more than $1 million, it is worth considering variables that can alter this value. Beyond the obvious (make more money), individuals can delay filing, ensure SS taxes are paid, change filing order, or file a restricted application. Below I will point out how contributions are weighted differently and touch on the variables we can control. And, if the lingering fear of SS going bankrupt still haunts you, then give my previous article here a read. Social Security calculates our benefit based on our highest 35 years of earnings history. Which means, if we work for 40 years, then we could replace our 5 lowest earning years of income with 5 higher years from later in life. Within those 35 earning years, your income will benefit you at differing levels as seen in the chart below. Income below $10,740 has the highest replacement rate with a steep decline in benefit per dollar as income approaches $128,700. SS tax (6.2% for most employees) doesn’t apply to income earned over $128,700 in 2018. The highest full retirement age (FRA) monthly benefit is currently $2,788 per month. However, $2,788 is 100% of our benefit. We can receive up to 132% of $2,788 ($3,680) if we delay until age 70. And vice versa as low as 73.3% of our benefit if we apply for SS at 62. If born after 1960 then FRA moves to 67 instead of 66. This change in FRA is due to the average American living longer and SS having to make adjustments to their benefit formula to account for the added expense. This matters because annual benefits increase 8% for every year between FRA and age 70. Which means that with one less year between FRA and age 70, the maximum percentage of our full benefit at age 70 will be 124% instead of 132%. Employees and employers must pay the social security income tax in order to receive an SS benefit. If someone has been avoiding paying taxes because their income is mainly paid in cash or they have been self-employed, they may want to reconsider. 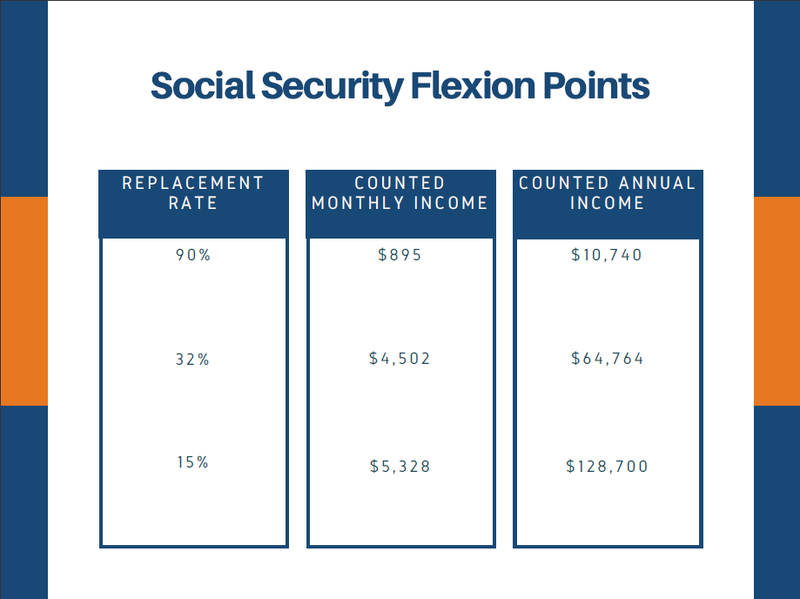 Not only is it the law, but Social Security is a beneficial forced savings program, especially for lower incomes. After considering inflation and opportunity cost, it often makes sense to delay receiving SS benefits as long as possible. Of course, if someone delays until 70, they typically have an 8-12 year break-even point. Meaning, that if someone delays their benefit until 70, they must live until 78-82 to ensure they made the best choice. Once the break-even point is met, the benefits of waiting can compound and act as an insurance policy in-case you live longer than expected. However, choosing to delay is circumstantial. If someone expects low inflation, high investment growth rates, high cash needs, and/or a short life expectancy then they should consider drawing social security earlier. Restricted applications are available as long as you were born on or before January 1, 1954. A restricted application allows you to receive a spousal benefit while delaying your own social security benefit. You must be at least age 66 to file a restricted application although your spouse could be younger. So, if you had a 64-year-old spouse filing for their benefit of $1,100 (their FRA benefit is $1,200) then you could receive a $600 benefit while delaying your own benefit. If your spouse files early in this scenario then they are giving up the possible $1,584 benefit at age 70. And for giving up this delayed benefit, they will receive $1,100 today. Social Security planning is a case by case problem and depends on many different variables. Couples should account for spousal benefit compared to their own, age differences, economic outlook, investment options, and income needs. Few people know where their benefit numbers come from. Simply having this knowledge can help to inform small decisions today that turn into large outcomes later. If this interests you then I would encourage you to give us a call or read more here and here. ‹ What’s a 529 ABLE Account?